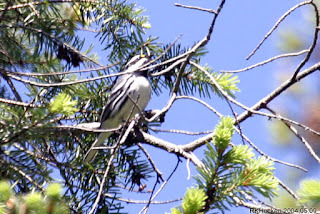 The Tuesday bird walk went to Moorcroft Regional Park in Nanoose Bay. The morning was sunny with strong winds. A Dunlin and four singing Black Oystercatchers were seen along the rocky shores. Six Pacific Loons and two Marbled Murrelet’s were seen offshore. We saw a Killer Whale breeching off shore. We heard a Swainson’s Thrush calling just off the trail. 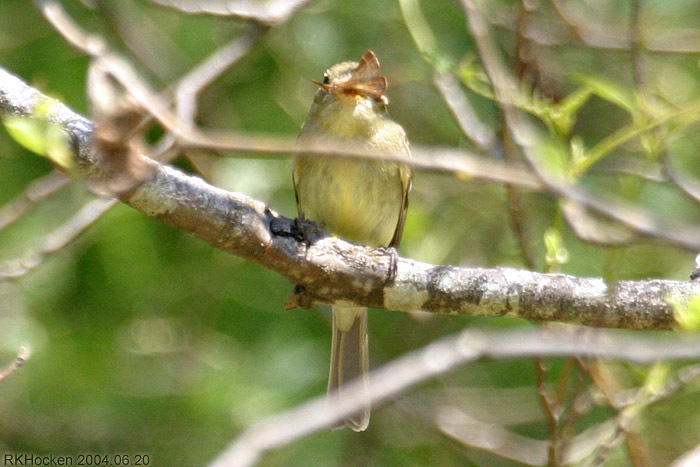 A Pacific-slope Flycatcher was spotted perched near the trail. Orange-crowned Warblers, Yellow-rumped Warblers, Black-throated Gray Warblers and Townsend’s Warblers entertained us all morning. 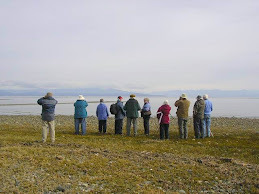 The Sunday Bird Walk on May 06, 2018 will be going to Neck Point Park in Nanaimo. Meet at the Bird store at 9:00 am or at parking lot Neck Point off Hammond Bay Road in Nanaimo at about 9:20 am. The Tuesday Bird Walk on May 08, 2018 will be going to the Little Qualicum River Fish Hatchery in north Qualicum Beach. Meet at the Parksville Community Park (near the Lions Club playground parking lot) in Parksville at 9:00 am, or at the Brant Viewing Platform along Highway 19a in North Qualicum Beach at about 9:20 am.